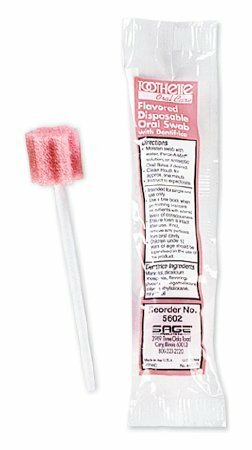 Ensure Enlive Oral Swabstick Toothette Foam Tip Untreated Sage Products Application.Oral Swabstick ColorPink Impregnated IngredientUntreated Length 6 Inch Shaft Material Paper Sterility NonSterile Tip Material.Features Individually wrapped. No flavor, no Dentifrice. Soft foam heads gentle to fragile tissues. Perpendicular ridges help clean between teeth and stimulate oral tissue and Latex free. If you have any questions about this product by TOOTHETTE, contact us by completing and submitting the form below. If you are looking for a specif part number, please include it with your message.